It’s disorienting to go out for an all-night rager on a Wednesday. After months of brutal cold, the walk from the Bedford Avenue stop to the corner of Wythe Avenue and North 12th Street was somewhat comfortable and refreshing. But it was also a strange hour of the day – 9pm on a weeknight. Regular people were seen walking home from work. Let’s play a game: try to spot the people walking to Output. They’ll probably be dressed in dark clothes, walking together with determined purpose. Because only the determined, the dedicated fans would set aside their time to make this show. Carl Cox was playing at Output and it was clear by the seemingly endless line for general admission tickets, that few were deterred by the fact that it was on a weeknight. Open-to-close marathon sets by one DJ are gaining traction in New York and we can’t agree more with their growing popularity, from Armin van Buuren’s recent Armin Only tour to local DJ nights. Seeing a heavy-hitting DJ, who usually comes on at the peak of a night, start out playing mellow house music shows another side. This kind of set really allows you to give in to the music completely and go on a journey with the DJ. He or she has complete control over the mood of the room without having to take over from a poor opening DJ or dramatically change the feel of a set. 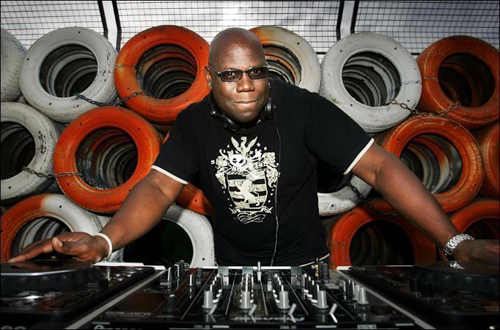 We’re incredibly happy that Output has allowed this trend to flourish, and that Carl Cox was a part of it. You have to appreciate seeing a legend like Cox, who has been DJing and producing music since the early 80s in England. You can’t argue with his discography and list of awards and festival line-ups. There is a certain soul to his style that really came out in the beginning of his set, and peaking when he played a track by the late Frankie Knuckles early in the night, a homage to the godfather of house music. If you never thought Output could get real funky, you were wrong. The funk was there and it showed no signs of stopping. Because the set started so early and was scheduled to go until four, instead of Output’s usual six, the progression moved forward. The place began to really fill up around eleven and the mood slowly changed over from funky house to a deeper tech house vibe. By one, Output was entirely packed and it was difficult to move around, though one of the reasons we love this club is that you can always find a place to sit down and rest your feet. We spotted two firefighters standing around on the balcony at one point and some police officers on the main floor, but they didn’t seem to be doing anything. If they were there to manage the crowd, it was definitely working. Despite that it was packed to the brim, the crowd was respectful and organized. But we think they were really there to experience the massive bass coming out of those Funktion-Ones. 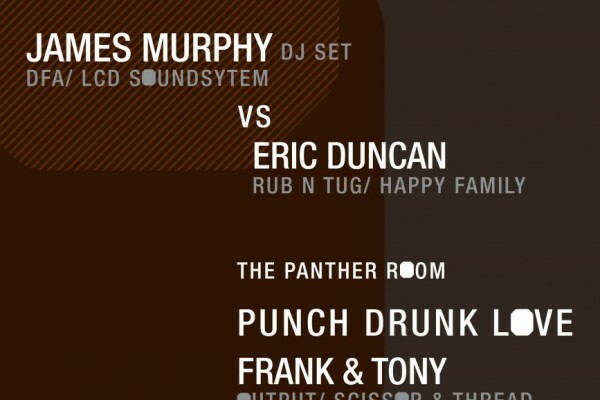 Later in the night, we spotted two cops standing by the doors to The Panther Room on the main floor, nodding their heads to the beat and casually chatting with clubbers walking by. For once, the presence of the authorities felt comfortable and not menacing, which is how it should be, a mutual trust. We moved up to the balcony to watch the madness later in the set, and saw many MOOD Records and Carl Cox t-shirts. One of the great things about coming to tech house shows is the community feeling. It really does feel like a family at times, and it’s totally normal to walk up to a stranger and complement them on their shirt, an instant connection. At one point, girls were raised on guys’ shoulders making the Carl Cox double Cs with their hands, a nice alternative to the tired hand heart.